We are starting with our March muse at CASE Study, and guess who it is! It is none other than my Runway team mate Joni Andaya!! LOVE her work, an so excited to be CASEing them! We also have two guest designers joining us this month; Sarah Gough and Kate Lorenzini, both very talented ladies! This is one of those card that I just want to copy! 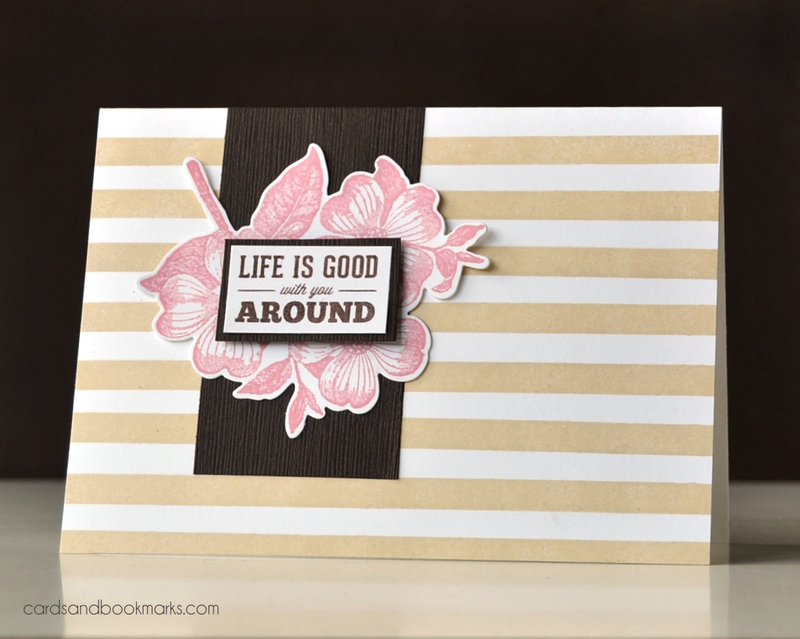 My card is inspired by the color combo and the sketch of Joni’s card. Make sure to stop by the CASE Study challenge blog to see what the rest of the design team created along with Joni herself! Ink: Hero Arts Shadow inks Soft Sand and Soft Blossom, SU! Chocolate chip. That piece of chocolate brings out the sand and blossom colors perfectly! Beautiful card! Wow i just love the simplicity of all your cards!! This ones too fabulous!! Really gorgeous, Tasnim! LOVE your colour choices!